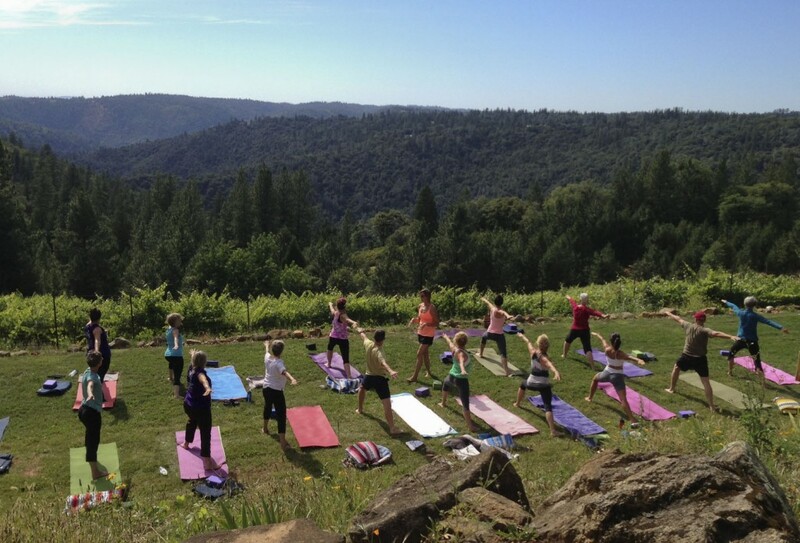 When it comes to working out some of us need more motivation than others which is why I love the concept of yoga at a winery. You get to sweat it out in the great outdoors, then cool down with wine – plus, you get to do all of it in stretchy pants – what’s better than that?! While the weather still permits, local wineries and yoga instructors are teaming up to offer classes followed by wine tastings. Reservations are recommended and don’t forget to dress comfortably and bring a yoga mat, towel, and water. For added motivation, invite friends and make a day of it. Even if you ugly sweat, they’ll still love you. Stone Tower Winery: Yoga at the Vineyard (October 19th and November 16th 10:30a-11:30a; Leesburg, VA) This all-level yoga class is hosted outdoors or in their Harvest Barn depending on the weather. The classes are free, but you still need to pay for the tasting. Check their website for more information about registering for the next class.